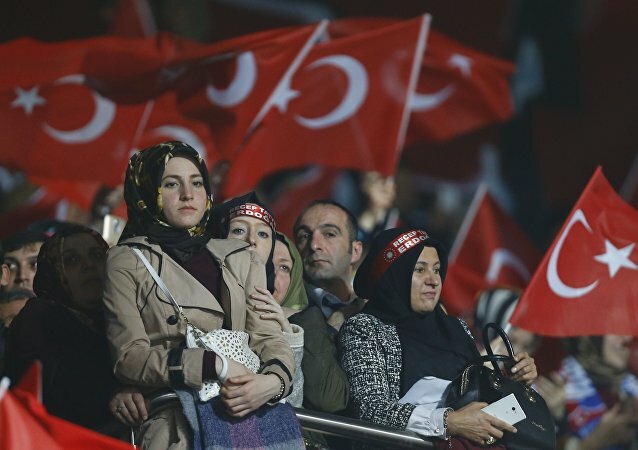 On April 16, Turkey held a referendum to approve 18 constitutional amendments which the country's legislature introduced in January. 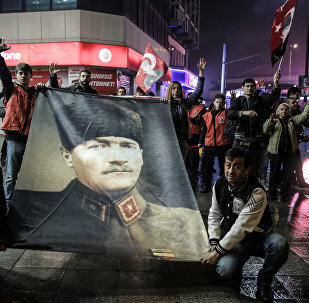 The changes replace the country's current parliamentary system of government with a presidential system, expanding the power wielded by President Recep Tayyip Erdogan. The supporters of the change won with a narrow margin. 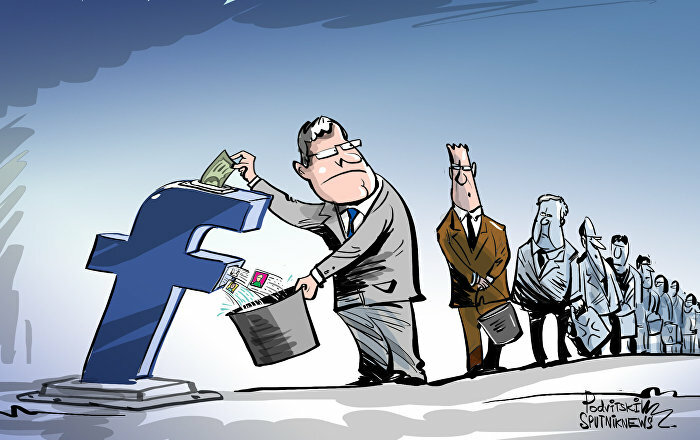 The Western media tried to interfere in the democratic process of the referendum in Turkey, openly urging audiences to vote against the proposed amendments to the constitution, the head of the Government Directorate General of Press and Information Mehmet Akarca said Thursday. Today Turkish President Recep Tayyip Erdogan's ruling Justice and Development Party (AKP) is implementing what it opposed only yesterday, Turkish journalist Sukru Kucuksahin told Sputnik. 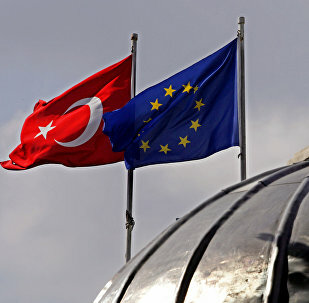 While the European Union is not opposed to continuing accession talks with Turkey, the bloc first needs a clearer signal from Ankara on its willingness to meet the entrance criteria before negotiations can be resumed, EU Foreign Policy Chief Federica Mogherini said Friday. The Turkish-EU relations reached their lowest point in a long time, Turkish Prime Minister Binali Yildirim said on Tuesday after the Parliamentary Assembly of the Council of Europe's (PACE) decision to monitor the political situation in the country. 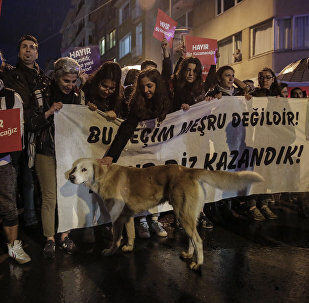 Turkey's Supreme Court refused to consider the lawsuit of the main opposition Republican People's Party (CHP), which seeks to cancel the results of the April 16 constitutional referendum, the NTV television channel reported Tuesday citing the court's ruling. 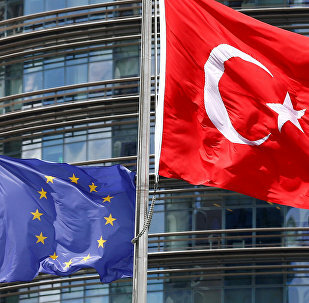 Turkey meets the economic requirements to become an EU member, while further commitment of the European Union to the accession process, benefiting both sides, would accelerate it, Faruk Kaymakci, Turkey's permanent representative to the European Union, said. Turkish police on Thursday detained a news website editor, Ali Ergin Demirhan, of opposition news website Sendika.org, on charges of portraying the country's Sunday constitutional referendum outcome as illegitimate, as well as for staging protests and stirring up hatred. 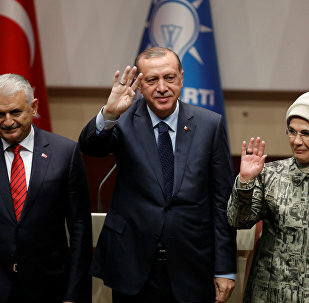 Turkey's opposition CHP party is determined to further seek the annulment of the results of the constitutional referendum despite the rejection of the appeal. 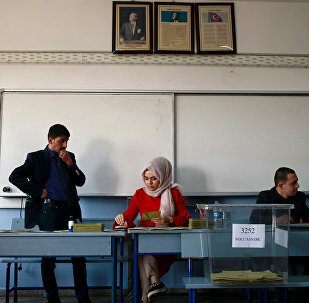 Turkey's Supreme Electoral Council (SEC) rejected the opposition's appeal against the results of the constitutional referendum, including the demand of the main opposition Republican People's Party to cancel the vote results, the NTV television channel said Wednesday citing the SEC decision. Turkish authorities should respond to the concerns voiced by international observers from the Organization for Security and Co-operation in Europe (OSCE) and the Council of Europe, who had monitored the recent constitutional referendum in the country, Germany's deputy government spokeswoman said Wednesday. The Turkish government claims that Kurdish regions surprisingly voted for the expansion of presidential powers at the recent referendum. Vice Chairman of the ruling Justice and Development Party said that amendments to Turkey's constitution approved at the nationwide referendum do not extend presidential powers, but rather are aimed to increase the accountability of the president by providing the parliament with capabilities to formally investigate the sitting leader. 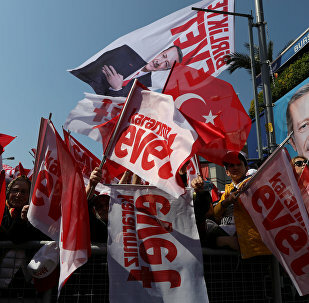 As the result of the referendum in Turkey is clear, the opposition should demonstrate responsibility and stop calling on the people to take to the streets, Turkish Prime Minister Binali Yildirim said Wednesday. The opposition Republican People's Party's deputy chair said that opposition believes that the extension of the country's state of emergency by Ankara is a deliberate attempt to silence objectors of and suppress protests against the outcome of Sunday's constitutional referendum on expanding presidential powers. Speaking to Sputnik Turkey, a number of Turkish experts commented on how their country's foreign policy will develop following last week's constitutional referendum in Turkey, in which President Erdogan claims to have received a majority "yes" vote to expand his presidential authority. YSK President Sadi Guven said that Turkey’s Supreme Election Council will evaluate appeals disputing Sunday's constitutional referendum on Wednesday. Russian President Vladimir Putin on Tuesday congratulated in a phone call Turkish President Recep Tayyip Erdogan on the positive results of the referendum on amendments to the Constitution stipulating broader presidential powers, the Kremlin press service said. 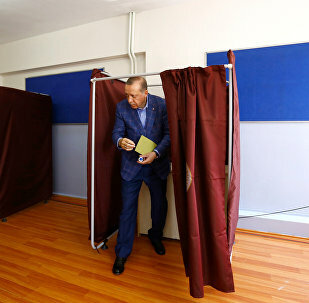 The Sunday referendum on shifting to a presidential system has split Turkey down the middle. Commenting on the potential consequences of Ankara's move, Russian academics told Sputnik that Moscow is interested in a strong and stable Turkey as its partner in the Middle East. The outcome of the Turkish referendum has led to the collapse of Ankara's EU aspirations, the Soufan group said.